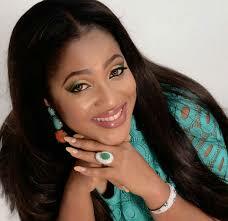 After a gap of close to a decade from the big screen, Nollywood actress Grace Amah is back. The thespian, however, said it was quite challenging to return as she had to fast and pray over it. “Actually, it was a lot of work. It wasn’t easy. A lot of fasting and praying went into my decision to return to Nollywood. I had to wait on the Lord because I had to hear from Him. It suddenly looked as if the name, Grace Amah, wasn’t ringing a bell anymore. It was not easy.